These beauties definitely deserve a post of their own. 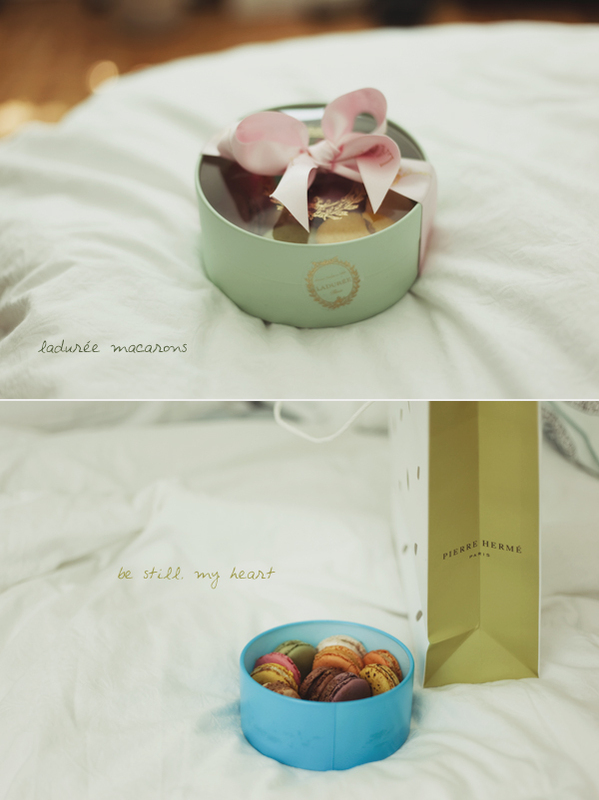 I was the lucky recipient of these photogenic boxes of macarons from only the best in Europe, Ladurée and Pierre Hermé. Backlog of pictures to post but ch-ch-ch-changes in my life are going to make it a little harder for me to post as regularly. Please be patient :D.
I have never had this dessert. But they look adorable and scrumptious all at once. So glad I discovered your blog :) You have great photos! Whoever delivered these to you did so with care. Everything is in immaculate condition! the best macarons? i want to try!